After reading the E-myth about 12 years ago Peter, I was inspired to do business a better way. The internet facilitates this type of thinking and can potentially earn us relatively passive income if done correctly. 12 years on, going bankrupt, and losing about 100K, I still grasp onto that belief or hope but understand that it still could be a pipe dream. I will let you know if I get there with my latest venture TripCover car rental excess insurance, but I agree with you one needs patience, patience and more patience. I wish you patience and all the best with the new venture! Hopefully you’ll fill us in as you progress. Yahooo! 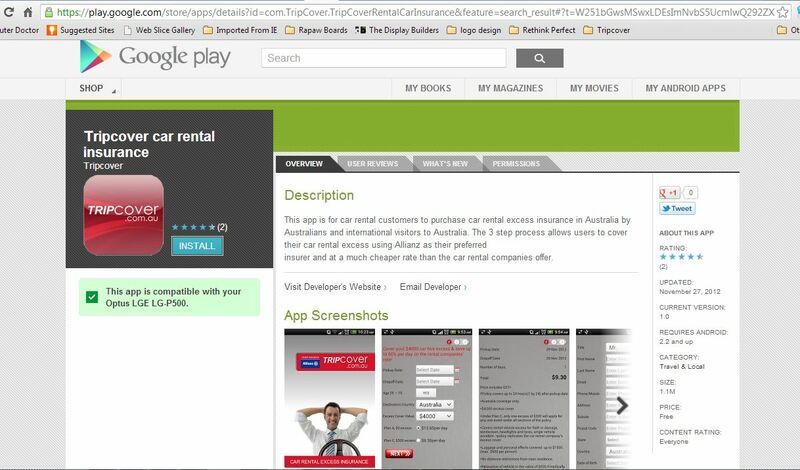 After much delay our iPhone and Android apps are now available for free download at the iTune and Google Play stores. 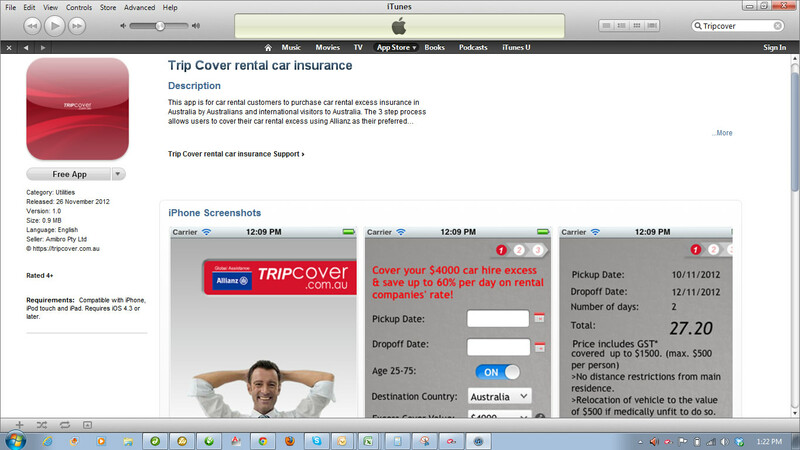 Simply go to iTunes and Google play sites and search for Tripcover. Now, when you are at the rental desk you can decide to by-pass the car rental companies expensive excess reduction offer (between $22 to $27) and simply use the Tripcover app to cover your rental, from $9.30 per day, while you are heading to pick up your car.